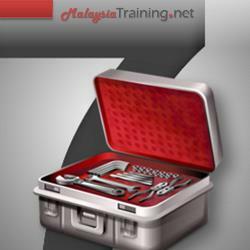 The training is designed for Executives, Supervisors, Technicians and related staff. It is highly recommended that personnel who involved in problem solving and process improvement to attend this program. This 2-day 7 QC Tools course will present a unique and workable approach to the basic tools and methods necessary for real quality improvement. The quality philosophy of the late Dr. W. Edwards Deming is also woven into the course. The cornerstone of any problem solving effort is to collect the right data and then to analyze that data in an understandable way. Information must be extracted from the data for use a in decision making. As such, a significant portion of this 7 QC Tools course will be dedicated to the use of statistics to achieve these objectives.